AKIPRESS.COM - The Turkmenistan-Afghanistan-Pakistan-India (TAPI) pipeline project which is designed to originate from Turkmenistan is seen as an alluring route for transporting blue fuel from Central to South Asia, AzerNews said. Media reports about Uzbekistan's intention to join the TAPI to export its natural gas have been met with interest. Sureyya Yigit, a lecturer at the Istanbul Aydin University thinks Uzbekistan's joining the TAPI project would add impetus to getting the project off the ground, but Tashkent's chances for joining the route are extremely low. “In fact, the original idea of TAPI is by no means guaranteed despite the recent media hype about the meetings and agreements. There is still no consortium leader,” he said. Yigit added the major hope for Tashkent is diversification in terms of natural gas exports. “It is far better to have TAPI as a third valve, rather than being dependent on exporting to Moscow and Beijing, thus being open to varying degrees of political influence from both,” he went on. Uzbekistan plans to increase gas production by five percent in the coming seven years. In May, Shokir Faizullayev, Chairman of the Board of Uzbekistan's national company Uzbekneftegaz announced that the country plans to increase the production of natural gas to 66 billion cubic meters by 2020. The total volume of natural gas exports amounted to about 13 billion cubic meters for 2013. The TAPI project with the proposed capacity of 33 billion cubic meters of natural gas per year will extend from Galkynysh field in Turkmenistan through the Afghan cities of Herat and Kandahar to its final point at a settlement on the Pakistani-Indian border. “Turkmenistan, where the TAPI project is intended to start, has proven gas reserves which are only bettered by Russia, Iran and Qatar in the world. Possessing the fourth largest gas reserve in the world means that Ashgabat can rely on close to 18 trillion cubic meters of gas nationwide and its Galkynysh gas field alone is the second largest in the world. Therefore, TAPI does not need any other country offering gas to export as it has that in abundance from Turkmenistan. In this respect, Uzbekistan's contribution would be clearly unnoticeable,” the expert added. British BP's last Statistical Review of World Energy report said Uzbekistan has some 1.6 trillion cubic meters of gas reserves. The U.S. Energy Information Agency estimated the country's proven natural gas reserves at 65 trillion cubic feet in 2012, ranking it the fourth in the Eurasia region and nineteenth in the world. Uzbekistan exports 7.5-10 billion cubic meters (bcm) of gas to Russia annually. The country also exports about 10 bcm to China, and plans to increase this figure to some 25 bcm in the next 5-10 years, after China completes Line D, the fourth and final gas pipeline carrying gas from Turkmenistan through Central Asia, where Kazakhstan and Uzbekistan add their gas to the pipeline, to China. 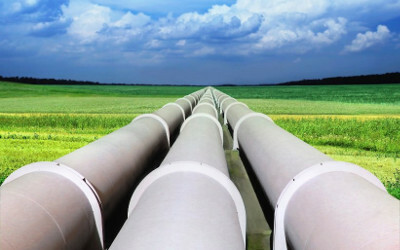 Bruce Pannier, an expert on Central Asia and Senior Correspondent at Radio Free Europe/Radio Liberty said that there are no plans to construct new pipelines to export Uzbekistan's natural gas to world markets. Pannier also noted Uzbekistan's participation in the TAPI project would have some symbolic effect. Being not only a regional project to transport Turkmen gas, but also a global project, TAPI is seen as an opportunity to contribute to the stabilization of Afghanistan, and its implementation could contribute to the rehabilitation process in the post-war country as it will create job opportunities and provide Afghanistan with guaranteed income from the transit. “I think TAPI would need to start operation, or at least make progress in construction, before any other parties would show serious interest. Again, there is the large question of security in Afghanistan and also in southern Pakistan, which is currently unstable due to Islamic militants and Baluch separatists,” he stressed.